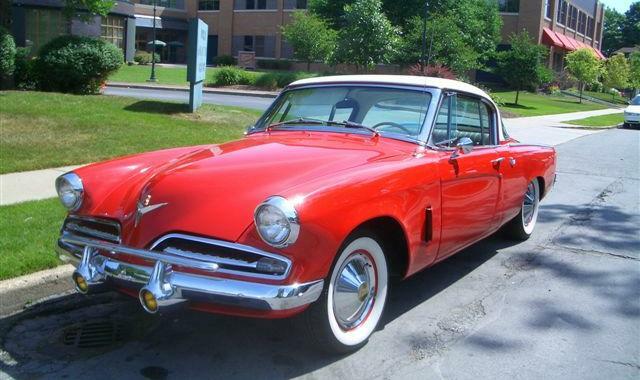 This beautiful 1953 Studebaker Commander Starliner Hardtop belongs to Mike DeLapp of Barrington, Illinois. Mike has owned the car for about two years. 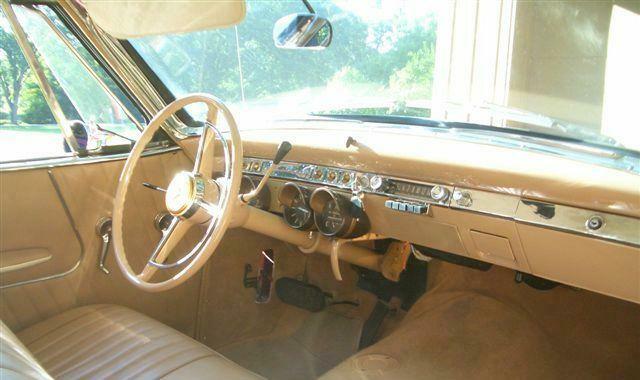 He has redone the dash, installed a heater, and a few other small things. Otherwise, it was pretty much as it appears when Mike acquired it from Kentucky. The car is equipped with automatic transmission, pleated vinyl upolstery, factory accessory fog lights, and a factory push button radio. The electrical system has been ungraded to 12 volts including an alternator in place of the original generator. 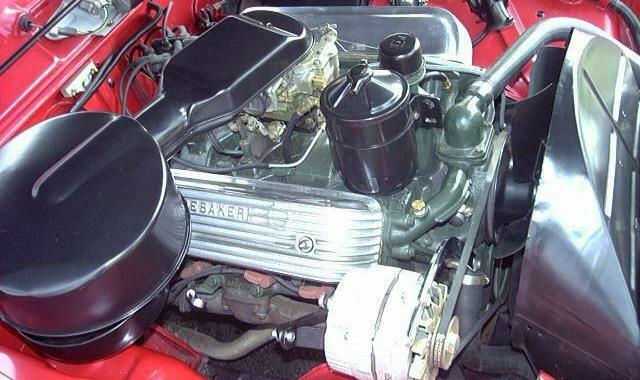 Other than this practical modification and finned aluminum valve covers, the car appears much as it would have coming off the showroom floor in 1953. Mike took the car to the 2007 South Bend International Meet and scored a second place in with 359 points. The pictures above were taken in South Bend. 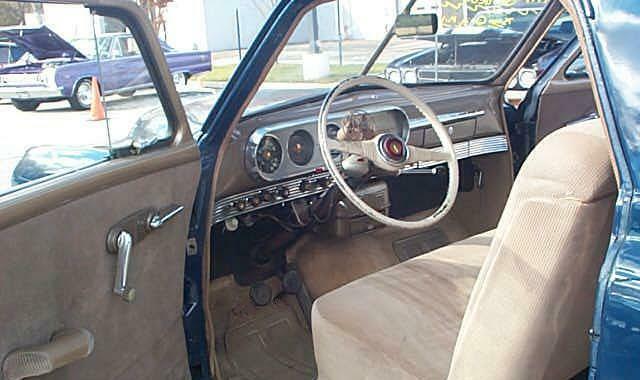 The 1953 Commander was powered by Studebaker's 232.6 cubic inch V8 rated at 120 horsepower. Starliner Hardtops have a 120" wheelbase, are 202" long, and weigh in at about 3,100 pounds give or take depending upon equipment. Here is a picture perfect shot of Mike's car set against some fall foilage. 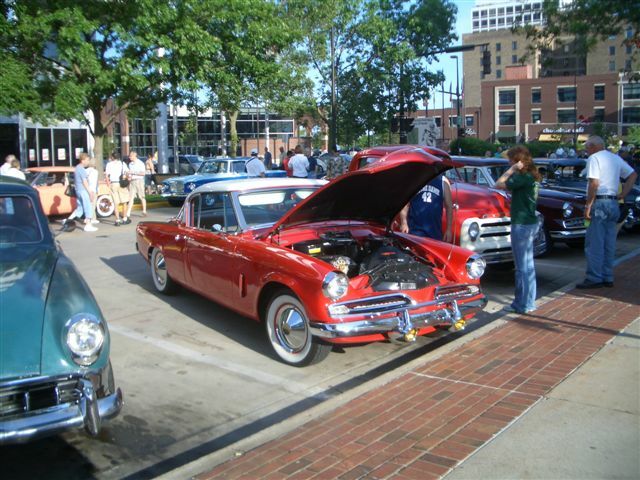 Thanks to Mike for sending the pictures and information about his fine car. In the "its a small world" category, if you look closely in the plaza picture above, there is a two-tone blue 1961 Lark parked behind Mike's Commander. 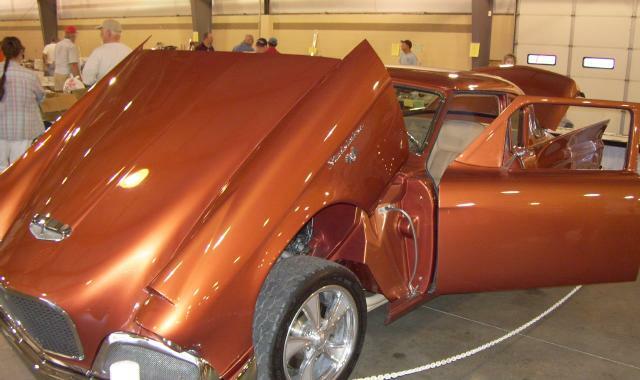 I don't know how many 1961 Larks are out there with that color scheme, but it sure looks like the two-tone 1961 Lark that showed up at the Bridgewater, Virginia show last October. All of the previous Monthly Main Pages have been reposted. In the process of reposting the pages, I have made corrections and revisions as needed, and in some cases added material that was not used when a page was first posted due to download speed and file storage limitations. A complete list of reposted Main Pages with links to each is located here. 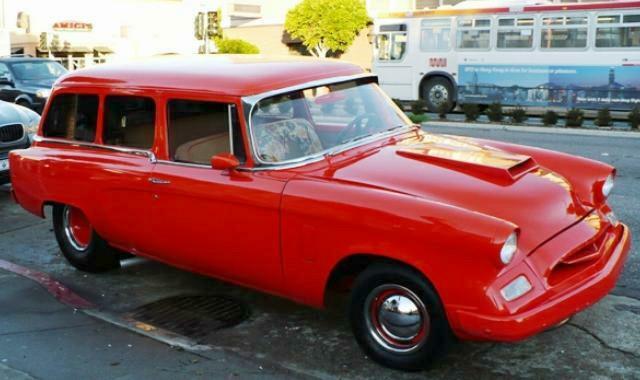 This rare 1955 Studebaker Conestoga Station Wagon Steet Rod belongs to Bob Gutierrez of San Franciso, California. Bob's wagon is powered by a 355 cubic inch small block Chevy V8 bored .30 over driving through a GM Turbo Hydamatic automatic transmission. The car is equipped with a MSD ignition system and other high performance goodies. The front end is from a Chevy Camaro with disc brakes and the rear end has been narrowed 20" to accommodate wide slicks as can be seen in the picture above. A functional hood scoop has been added and much of the chrome has been painted body color. 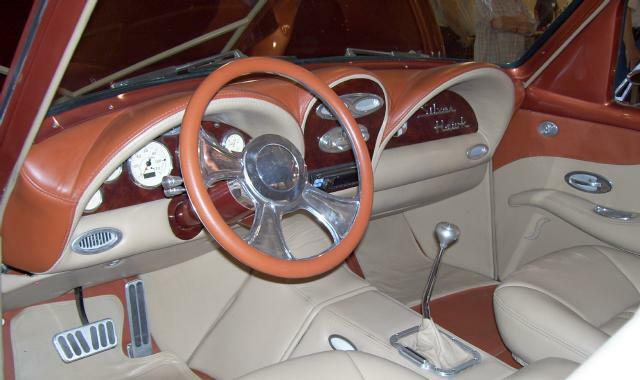 The interior is tan tweed with orange piping. Conestoga wagons sold fairly well in 1955 with 11,685 being produced of which 4,889 were Champions and 6,796 were Commanders. This was not bad, given the limitations of the Conestoga's two-door design when most competitors were offering four-door wagons. Relatively few appear to have survived, perhaps because they lived hard lives given their utilty. Here is a shot of the driver's side of Bob's wagon. Thanks to Bob for sending the pictures and information about his cool ride. 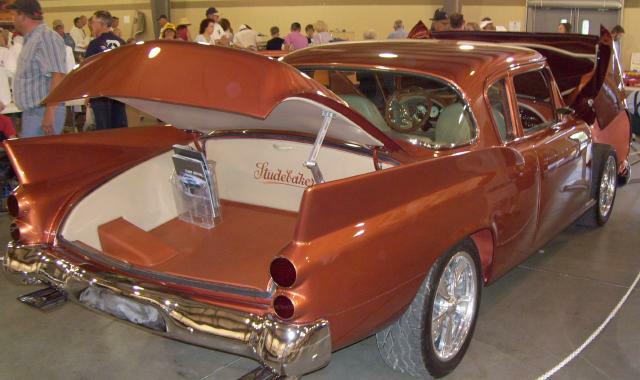 Allen Krodel of Big Rock, Illinois sent in these pictures of a very sharp custom Studebaker Silver Hawk Coupe. The dash is completely custom with "Silver Hawk" script in the glove box area. The hood and front fenders fold forward as a single unit just like on a Jaguar XKE. Most of the chrome and stainless trim has been removed and body seams have been finished over to give a clean look. A nice touch is the use of correct "Studebaker" script and "V8" emblems on the front fenders and retention of the original main front grille and hood bulge trim piece. 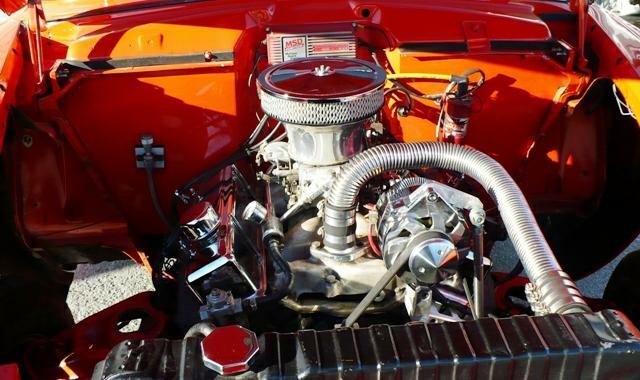 A plate in the engine compartment indicates that the car was professionally designed and built for Ray Cox by Retro Tech of Avon, Indiana. Retro Tech is in the business of, in their words, classic automobile "restification" which they describe as "a unique marriage of classic style and modern technology in a package that turns more heads than anything produced today." This finned Hawk certainly fills that bill! Al took the pictures during the 2007 South Bend International Meet. 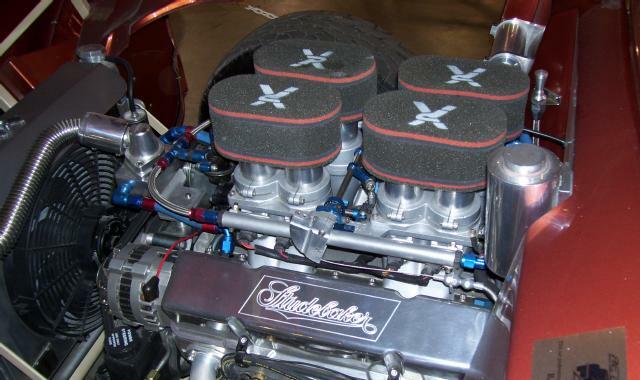 The engine is just as impressive as the rest of the car. Thanks to Al for sending the pictures of this hot Hawk. 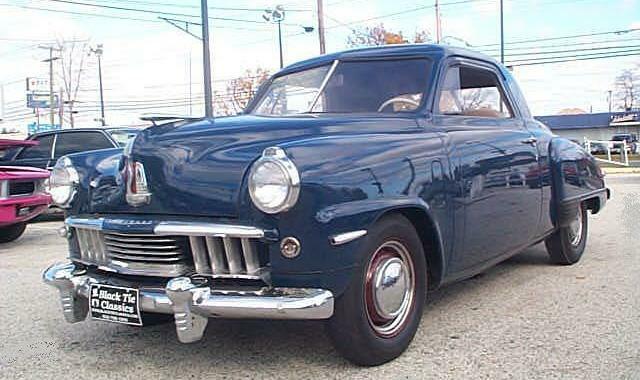 John Bertino of Black Tie Classics in Stratford, New Jersey sent these pictures of a 1947 Studebaker Champion Business Coupe that is currently for sale. The odometer shows about 75,600 miles. Equipment includes manual transmission with overdrive, an under dash heater, accessory defroster fan, and accessory turn signals. 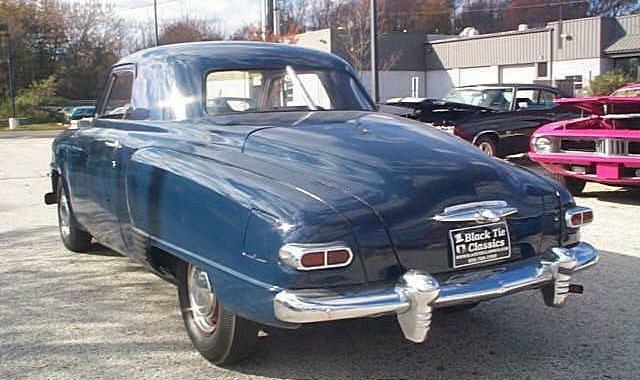 Studebaker produced 9,947 business coupes for the 1947 model year of which 8,600 were Champions and 1,347 were Commanders. 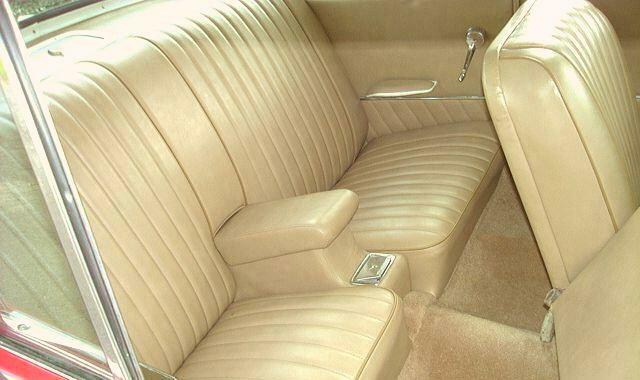 Basically, this model has no back seat and a huge trunk and was intended for salesmen and other business use. 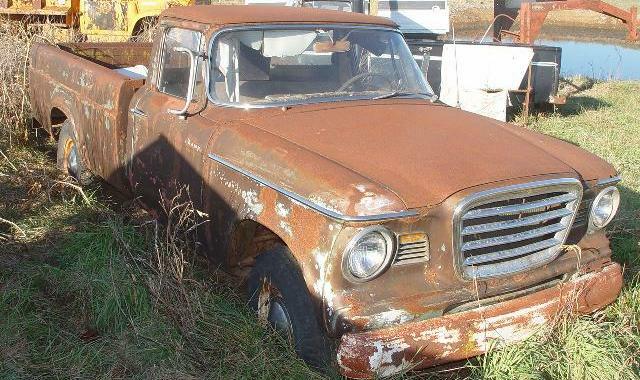 Studebaker business coupe production dropped sharply after 1947 and only 2,803 were produced for 1951, the last year this body style was offered. 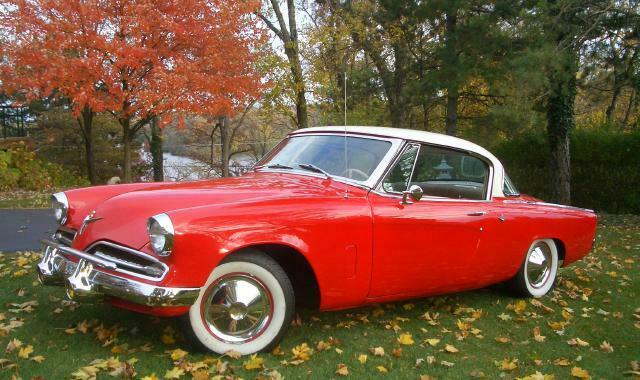 This is the best example of a Studebaker Business Coupe that I have seen for sale in a while. These pictures were sent by Bernard van Nieuwenhoven who lives in Belgium. 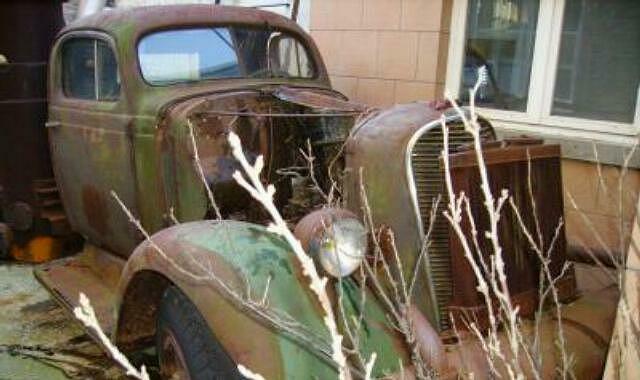 The truck was listed on eBay in Europe and Bernard wanted to know more about it before attempting to go after it. I forwarded Bernard's inquiry to Studebaker truck expert Frank Drumheller who quickly provided Bernard with a wealth of information. Bernard made the trip to France to see the truck and placed his bid but a higher bidder got the truck. An interesting aspect of this truck is that it has a Gazogene system installed which allows it to run on wood, coke, or coal. The large boiler can be clearly seen in the rear view above. The extra radiator mounted to the front of the truck and the tank below it are also part of the Gazogene system. Here is a picture of a Citroen C4 truck which shows a complete Gazogene system. 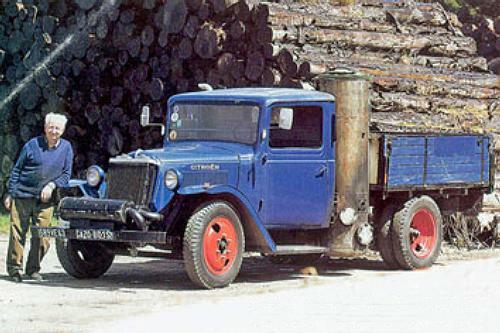 Gazogene systems were used in France during World War II due to a severe shortage of gasoline. 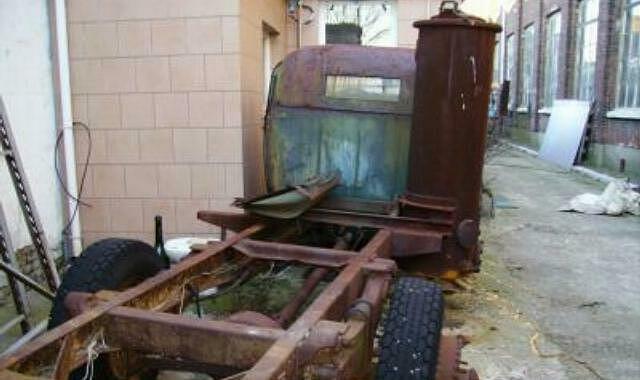 Regular readers of this page may recall a piece on a coal powered Studebaker military truck that appeared here several years ago. 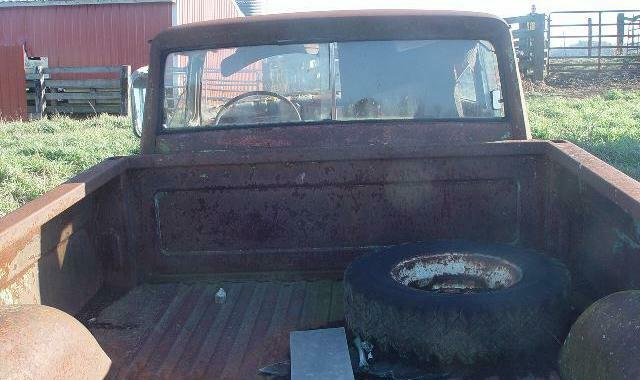 John Sanders sent these pictures of a 1964 Studebaker Champ Pickup that is located in southwestern Virginia not far from Wytheville Community College. It is for sale if anyone is interested in a major project. 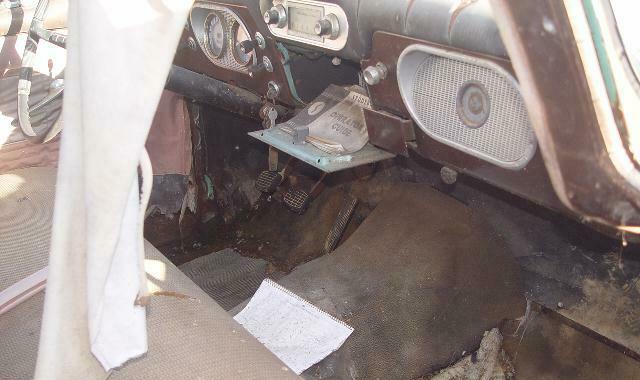 Here is a picture of the interior which reveals just a bit of the truck's original light green paint. It has a manual transmission and appears to be complete. 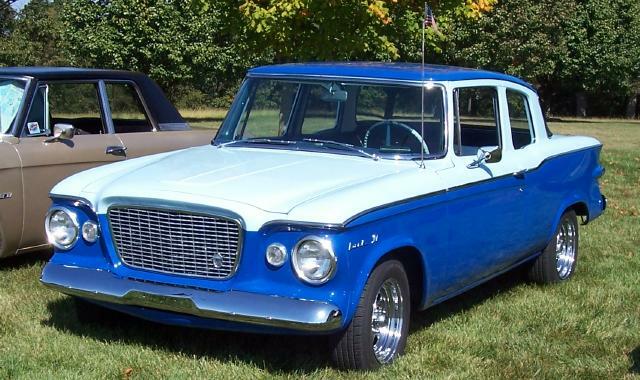 Only 2,559 Champs were produced for the 1964 model year as production ended when Studebaker closed the South bend plant and shifted automobile assembly to Canada. 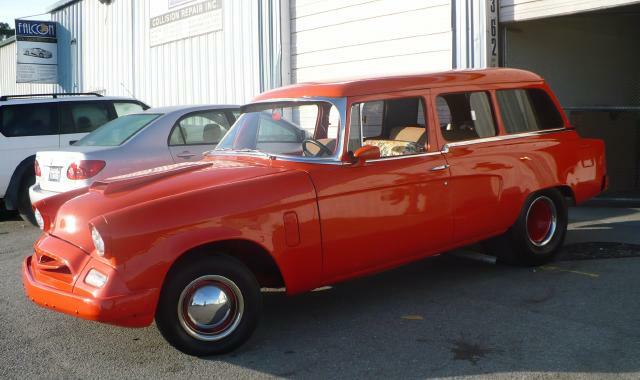 This Champ is equipped with a sliding rear window which was an innovation introduced by Studebaker. John can be e-mailed here if anyone is interested. 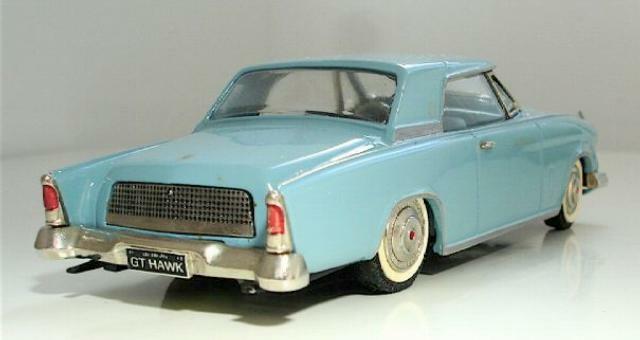 This very rare 1:43 scale Mini Marque 1962 Studebaker Gran Turismo Hawk was recently auctioned on eBay. Mini Marque models are hand built in England in very limited quantities. Only 250 of this model were made. The price was up to $178.01 with several days to go in the auction when I last checked. 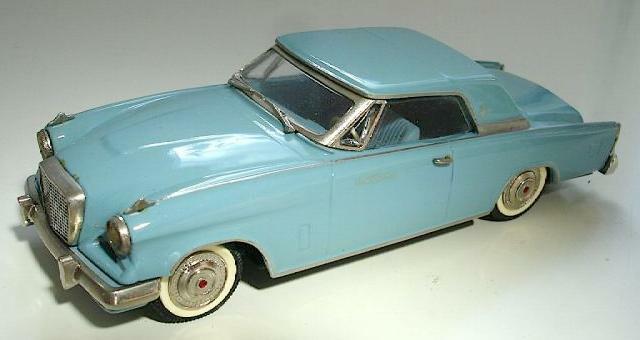 Mini Marque also issued a 1957 Silver Hawk, a 1958 Golden Hawk, and a 1964 Avanti. More toy Studes can be found in the Stude Stuff area of this page and on my Studebaker Toys Home Page.